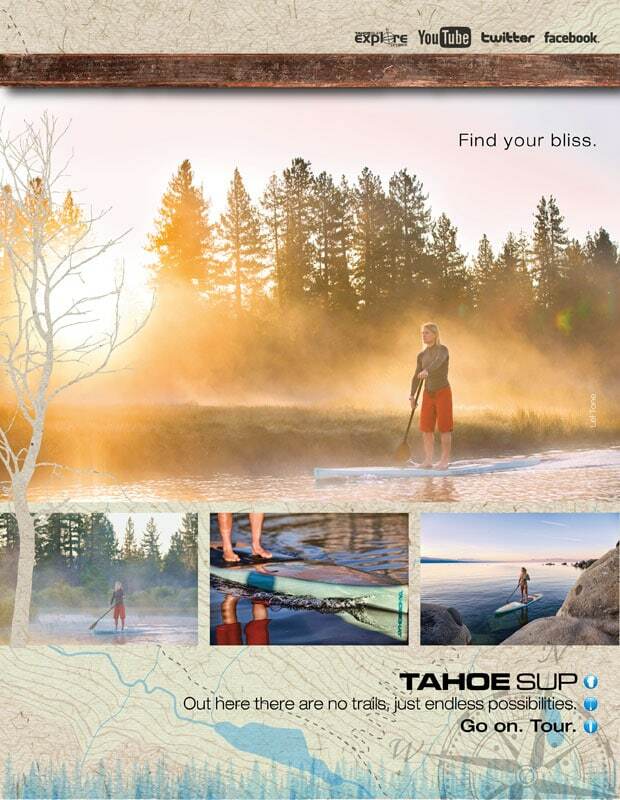 Here is the Tahoe SUP ad for their women’s Bliss paddleboard as seen in this SUP Magazine. These images are from a shoot I did on Lake Tahoe for Tahoe SUP Paddleboards. The model/athlete featured in this ad is Lel Tone who is really talented and a lot of fun on a shoot. The Bliss is technically designed for women, but I have seen more than a few guys, including myself, enjoying the speedy, little board.